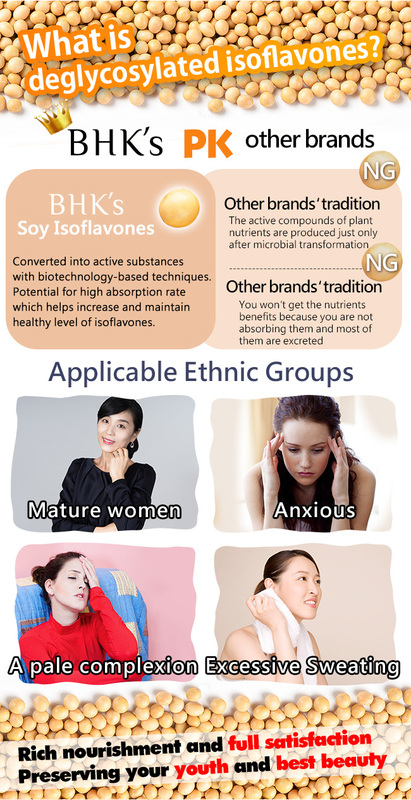 Soy isoflavones has become very popular in Western countries in recent years. 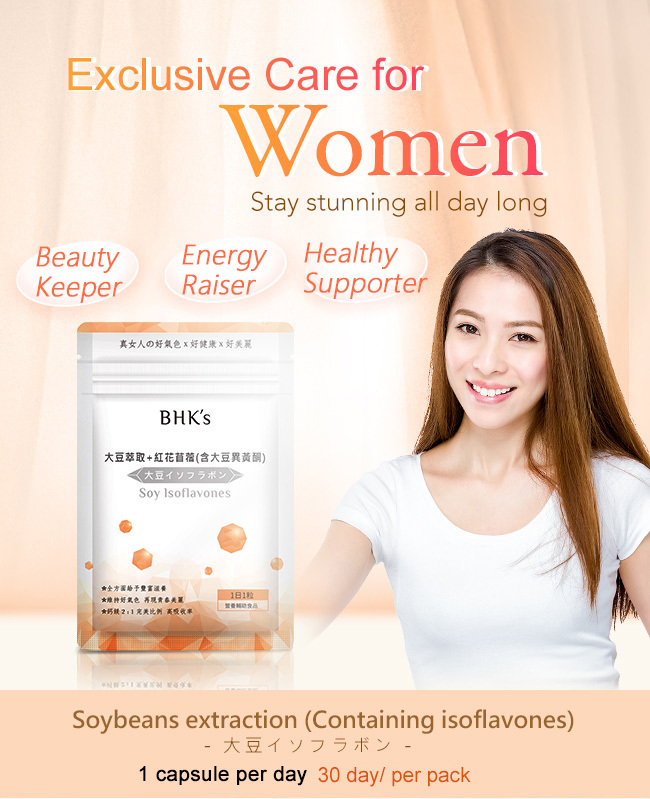 Many medical research journals revealed that isoflavones exert effects on a variety of women health outcomes, including maintain beauty, optimizing body performance, help to get good night’s sleep, and maintaining energetic vitality. 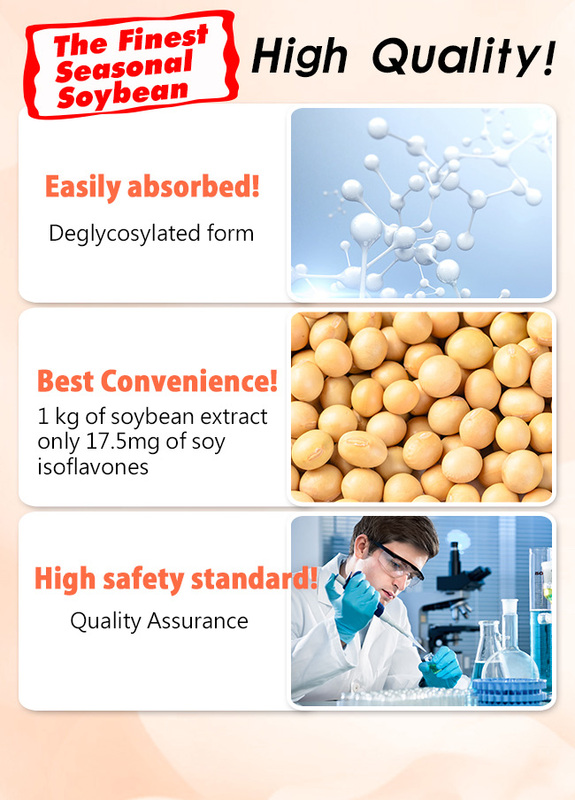 BHK’s Soy Isoflavones with high absorption rate which helps increase and maintain healthy level of isoflavones. 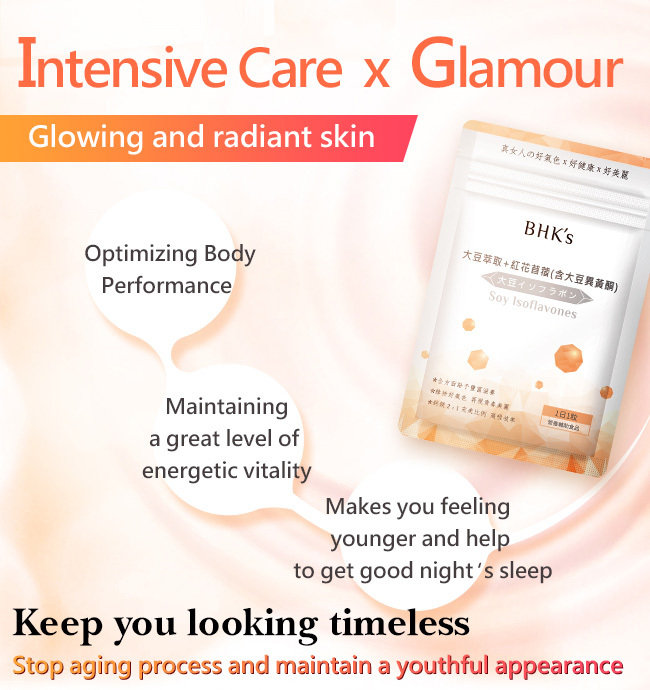 And certainly boost energy level & get glowing skin from the inside out. 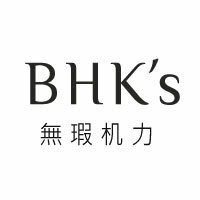 Suggested Use Take 1 capsule daily after meal. For better result, take 2 capsules (at the same time) daily after meal. 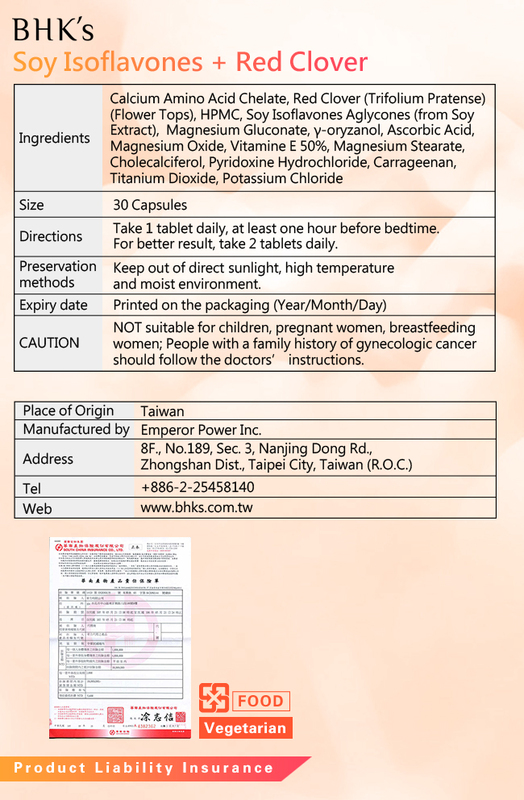 CAUTION NOT suitable for children, pregnant women, breastfeeding women; People with a family history of gynecologic cancer should follow the doctors’ instructions.